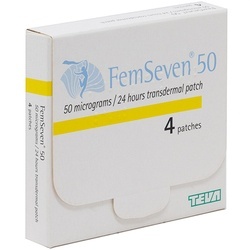 Femseven (Estradiol) 100mcg Patches 4 is a Hormone Replacement Therapy (HRT). 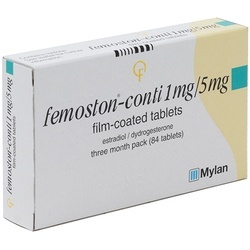 It contains the female hormone Oestrogen-Estradiol. It is used to relieve the symptoms occuring after menopause. 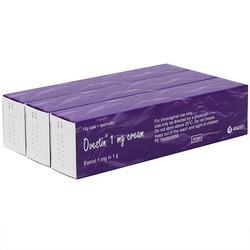 As it only contains the hormone Oestrogen it is most suitable for women who have had an hysterectomy. Always use this medicine exactly as directed by your doctor. Please read the patient information leaflet before use. Apply ONE patch once a week to either the thigh or buttock. 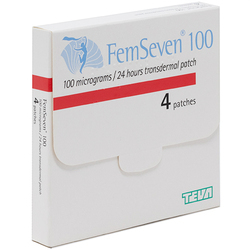 The active ingredient in Femseven (Estradiol) 100mcg Patches 4 is Estradiol 3mg. The other excipients are Styrene-Isoprene-Styrene Block Copolymer, Glycerine Esters of completely Hydrogenated Resin Acids, Polyethylene Terephthalate Foil.